Russian Ambassador to the UK Alexander Yakovenko speaks out on the new economic reality in Russia. F or many prominent international observers, it is obvious that despite tough challenges, including low energy prices, a weak rouble and western sanctions, Russia’s economy has overcome the worst, and started to stabilise, adapting to the new economic reality. As President Vladimir Putin highlighted in the recent Direct Line special TV broadcast: “It is clear there is no collapse, we have survived the peak of the problems, and the fundamentals of the Russian economy have strengthened”. Russia’s macro-economic state exceeded the expectations of some government experts and independent analysts. 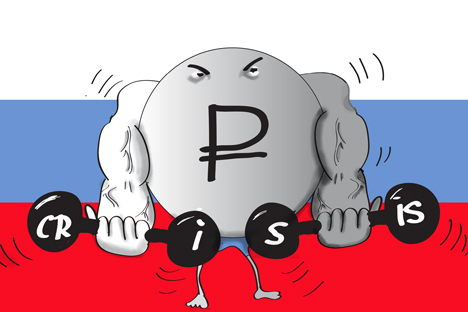 The foreign exchange market has calmed and the economy is gradually adapting to a floating rouble exchange rate. Public debt is low. The federal budget deficit remains at an economically safe level and the unemployment rate is within reasonable limits, meaning it is much lower than in other countries in comparable figures. The inflation rate is also expected to slow down in 2015-16. Despite difficulties, the government is fully meeting all its social commitments. According to the Russian Federal Statistic Service, the country’s GDP dropped in the first quarter of 2015 by no more than 1.9pc – well short of most predictions. Many international economists are revising their forecasts of the GDP annual contraction figures from 4-4.5pc to 3-3.5pc. In order to tackle the challenges, the Government has adopted and been implementing a $35bn (£22.6bn) anti-crisis plan that includes 60 measures aimed at reversing Russia’s worsening economic situation, which was exacerbated by the rouble’s sharp depreciation in the second half of 2014. The measures stipulated for 2015-16 are designed to accelerate the restructuring of the economy, stabilise strategic companies in the key sectors, balance the labour market, reduce inflation, moderate the consequences of consumer price increases for low-income families as well as secure sustainable growth and macroeconomic stability in the medium term. This plan is definitely working well. After losing almost half of its value in 2014, the Russian rouble has recovered by about 30pc already. Its rally was spurred by the Central Bank lowering interest rates, which brought investors back on to the Russian market. For instance, China is going to double its investments in Russia. There was a lot of speculation that Russia was running out of its reserves very quickly. To shatter this myth it would be right to mention that the Central Bank of Russia recently announced it will begin regular operations to buy foreign currencies on the domestic market in order to replenish its international reserves. The scope of such operations is going to remain at $100-200m per day. As President Putin said, the corporate sector paid its commitments of about $130bn last year. For this year the amount stands at $60bn, of which most has already been paid. It is widely acknowledged that the Russian financial authorities acted wisely and avoided measures such as the introduction of capital controls. As the Financial Times Moscow correspondent Kathrin Hille correctly put it, costs in local currency have fallen so consumers are more inclined to buy Russian – a process known as import substitution. Agricultural production is a government priority now, with a growth prediction of 1.4pc in 2015. It is not surprising that some economists now talk of “a renaissance” of Russian industry and agriculture, spurred by anti-crisis measures, brought forward by changes in the external environment. It is said that “Russians are slow to saddle but fast to ride”. But it should be noted that some of the relief came as a result of the reciprocal and indiscriminate effects of the external pressures that we have to deal with.